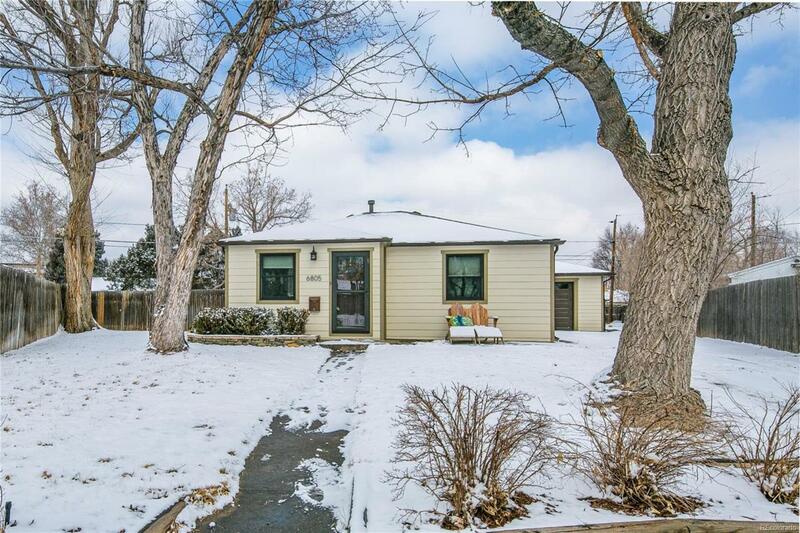 Live in the Heart of Old Town Arvada! Just a quick walk/bike ride to so much! Location, Location, Location! This charming home has been loved and well cared for! *Brand New Remodeled Kitchen completed with top-notch class. All Kitchen appliances included *Newer Updated Bathroom and newer tile* Hardwood floors in home *Lots of Upgrades *Crown Molding *Gas stove *Master Bedroom with Custom Closets *Adorable Wainscoting trim *New Roof 2017 *Huge Over Size Unique Garage *French Patio Doors open to Backyard *New Garage Door/Garage Door opener 2017 * Newer James Hardie Siding * Corner Lot with huge .16 acres of space *RV Parking *Sprinkler System *Large Lot With Mature Trees *All showings will start 2.25.19 thru 3.3.2019. All offers need to be in by March 4th at 4 pm. Winning offer will be picked March 5th by noon. One hour notice requested for showings.